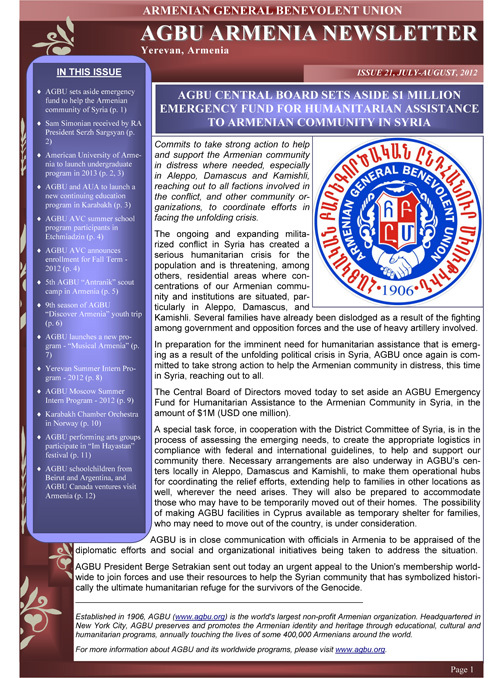 Click here to download the PDF (2.64MB) of the August 2012 AGBU Armenia Newsletter. 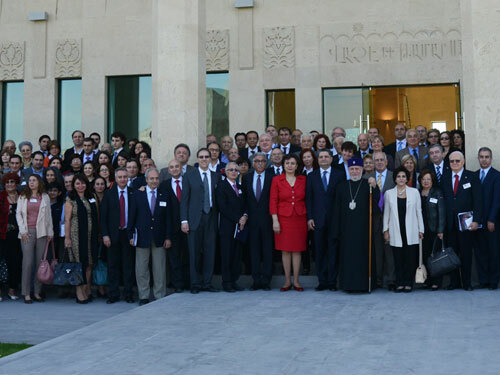 AGBU’s leadership, delegates and supporters have not had a moment of rest since arriving in Yerevan, and are enjoying every second as anticipation builds for the organization’s 87th General Assembly tomorrow morning. 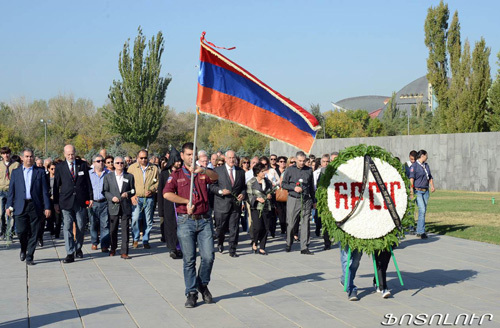 They all applauded with delight during a visit to the TUMO Center on Wednesday night when its students unveiled a video they had produced in collaboration with our Armenia Representation Office about AGBU and its programs. Watch it here: http://youtu.be/1LOOeaNSQHY. 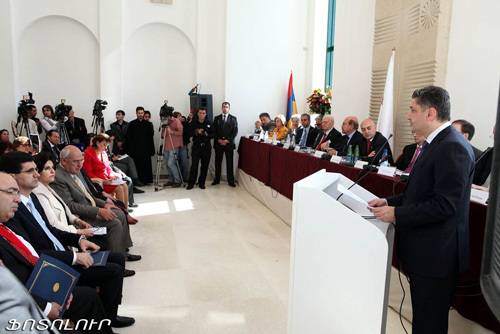 AGBU President Berge Setrakian gave his much-anticipated State of the Union address to launch the two days of Chapter and YP meetings that began yesterday morning at the American University of Armenia (AUA), and later led the AGBU delegation to Holy Etchmiadzin to witness the inauguration of the Vatche & Tamar Manoukian Library (Madenataran), attended by RA President and First Lady Serzh and Rita Sargsyan, His Holiness Karekin II, Catholicos of All Armenians, and of course the benefactors themselves.